In October, plant 10-12 bulbs one inch deep in a 6-inch pan (a “pan” is a shallow clay pot intended for bulbs) of well-draining soil. Then submerge the pan to its rim in a sink or dishpan of water until the soil becomes quite wet. 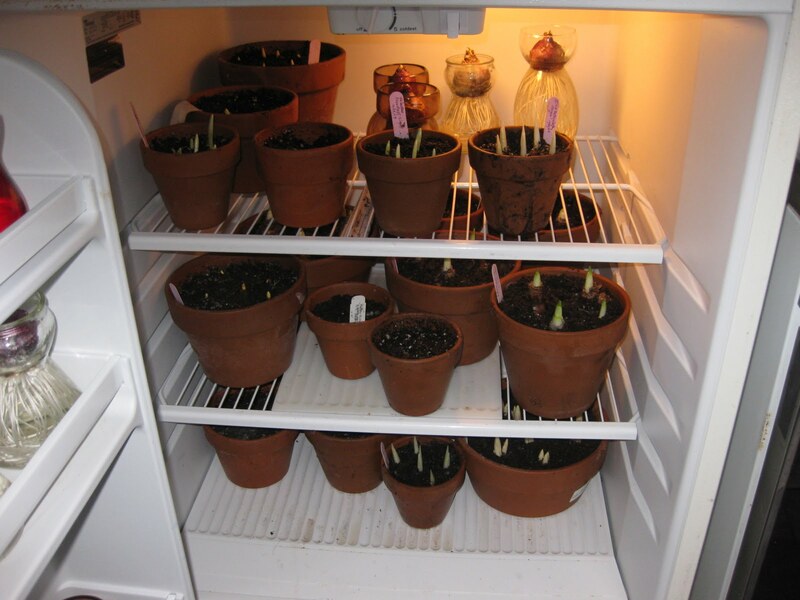 Next, set the bulbs in a cool, dark location (35-45F) where they can go about making roots. 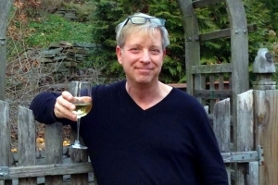 I rely on my spare refrigerator in some years, and the cellar or mud-room closet in others. 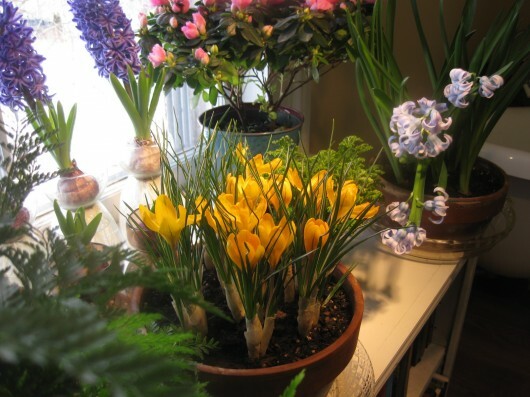 The bulbs merely need a place that stays reliably cold and dark for their rooting-duration. Check the bulbs every other week, and provide them with just enough water to maintain even soil moisture. After 10 weeks in cold storage, bring the bulbs to full sun and warmth. By “warmth,” I mean 65F max. Blooms will emerge about 4 weeks later. Snip off faded blooms, but allow the plants to remain in a sunny east or west window. Provide food and water until the foliage yellows. Then transfer the bulbs to a cool, dark, and dry location. For me, this means the cellar. 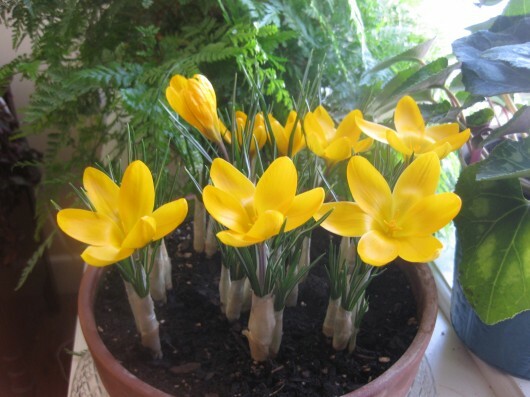 In October give the bulbs a permanent position in a sunny location outdoors. In two years time they will bloom as if they had never been forced in a window garden. Here in the Pacific Northwest, the crocuses emerged weeks ago. And were promptly buried with snow. Glad you are enjoying yours indoors. 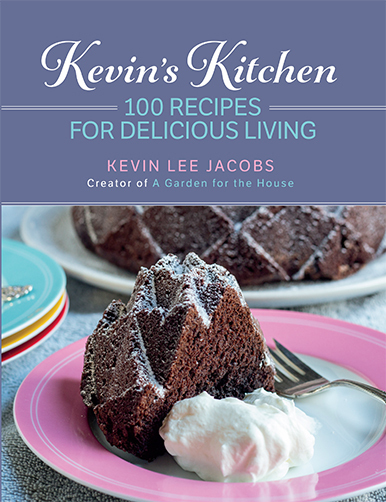 Kevin, just got your newsletter. I always mean to plant bulbs for indoor bloom in the fall. But then I forget, until its late winter, when I REALLY want them. Boo hoo!!! What a beautiful yellow! I am LONGING for Spring! Obviously this is an extra refrigerator or you all eat out for every meal! Must be nice to have just a refrigerator for your bulbs. Do you put your seeds in there too? I'm envious of all the room you have in your home. Will bulbs do well in a dark cabinet in a garage that is probably as cold as that refrigerator? I might just try that next year. Gosh, I'd have to post a big note on that cabinet where I store them though so I wouldn't forget them. What if you don't have an extra refrigerator? When do you start bringing them inside? How much sunlight do they need to get during the day? What IF you have a light system, or heat pad, would that work to help them to bloom? Once they bloom, do you keep them inside? Once they finish blooming, what do you do with them? Their foliage would need to go dormant. Do you put them outside after they have finished blooming so their foliage can go dormant? Do you use the same bulbs over and over each year? Betty819 – Sounds like you have the perfect spot in your garage for the cold-storage of bulbs. 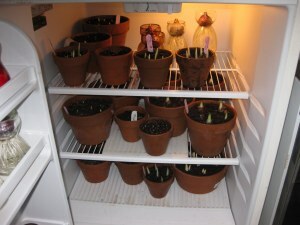 As I mentioned in the article above, some years I use my spare refrigerator, and other years I rely on my cellar and mud-room closet for the cold-duration of bulbs. As for your other questions — I'm pretty sure you'll find the answers in the short article up top. I should mention that I do not try to force the same bulbs two years in a row…they need that much time to recover from the ordeal!